Fishing in skinny water at Crowley has been on most occasions, nothing short of spectacular. I have focussed my last 10 to 15 guided trips in shallow, clear and very technical waters. I have been fishing early in the mornings under low light and low pressure in 5 to 6 feet of water. Its so clear, you can read the weight of my anchor which is 22lbs. In shallow water you need all of the help you can get. Being very quite, less movement and above all else, low light and some wind on the water will trigger these fish to come alive. The other important component, that is a monster factor, is tippet size. Cortlands new "Top Secret" Tippet Material is very impressive! Fishing in skinny water at Crowley has been on most occasions nothing short of spectacular. I have focussed my last 10 to 15 guided trips in shallow, clear and very technical waters. I have been fishing early in the mornings under low light and low pressure 5 to 6 feet of water. Its so clear, you can read the weight on my anchor which is 22lbs. In shallow water you need all of the help you can get. Being very quite, less movement and above all else low light and some wind on the water will trigger these fish to come alive. The other important component that is a monster factor is tippet size. I have been fishing 5x tippet, yes 5x tippet to these fish in this clear water and I have not been losing any fish. Why? 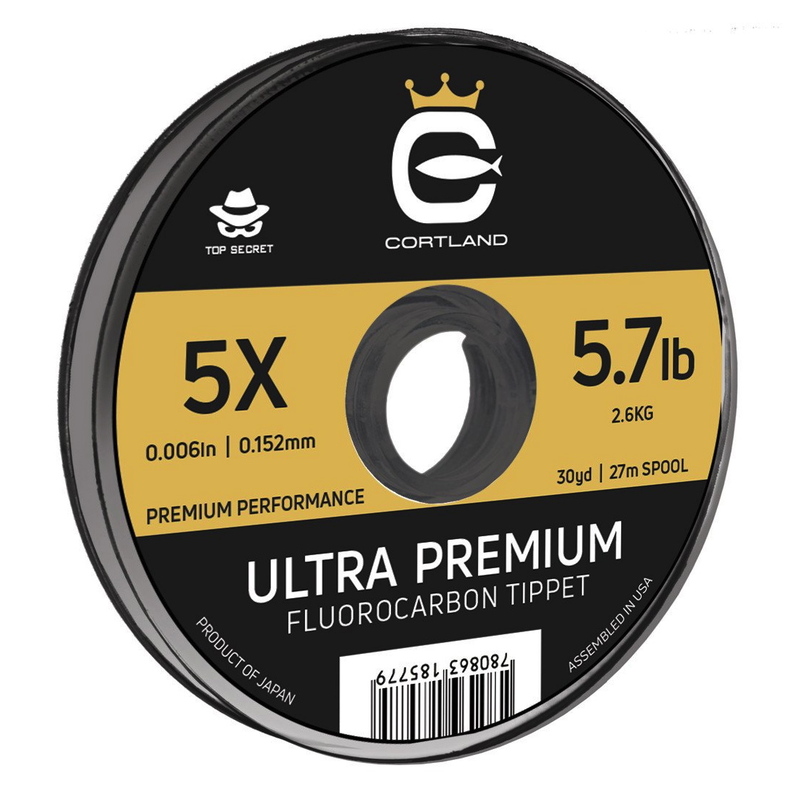 Because Cortland has come up with a phenominal new tippet called "Top Secret" and it performs with the strength of 4X or better. Its thin, its supple and its very hard to break. its by far my favorite new tippet material and I think it will be yours also when you try it! CROWLEY LAKE FISHING ANYWAY YOU WANT! Crowley lake is fishing to any style or any food item you want to fish right now. Do you want to fish 2 feet of water out to 25+ feet of water? Do you want to fish Damsels, Perch Fry or Callibaetis in skinny water, 2ft to 10ft of water, take your pick, now is the time. Do you want to go out and fish deep water, 20+ with floating line with indicators, sinking lines fished horizonaly, vertically with a type 7 or type 9 Cortland super slim full sink line straight under your watercraft? Now is the time anglers, its all good for whatever style of fishing you prefer! YES ANGLERS, WE ARE FINALLY FISHING SHALLOW WATER AT CROWLEY. NO MORE 25 FOOT SLIDING INDICATOR RIGS, WE ARE ACTUALLY IN WATER ANYWHERE FROM 6 FEET ALL THE WAY OUT INTO 12 FEET AND CATCHING GOOD NUMBERS AND LARGE FISH. FISH SIZES ARE A MIX, WITH FISH FROM 12" ALL THE WAY TO THE 24" RANGE. THE OTHER EXCITING THING IS BAIT SEASON IS OVER! ITS ARTIFICIAL, NON SCENTED FLIES AND LURES, WITH SINGLE BARBLESS HOOKS. IT'S CATCH AND RELEASE TIME. I DON'T PROMOTE KEEPING FISH. IF YOU DO DECIDE TO KEEP FISH, THE LIMIT IS TWO FISH AND THEY MUST BE 18" OR LARGER. ALSO MAKE SURE YOU ARE AWARE THAT YOUR SECOND ROD STAMP DOES NOT APPLY TO THE CROWLEY "TROPHY TROUT SEASON" YOU CAN ONLY FISH ONE ROD PER ANGLER NOW. THESE REGULATIONS HAVE STARTED ON AUGUST 1ST AND WILL CONTINUE UNTIL NOVEMBER 15TH CLOSER! 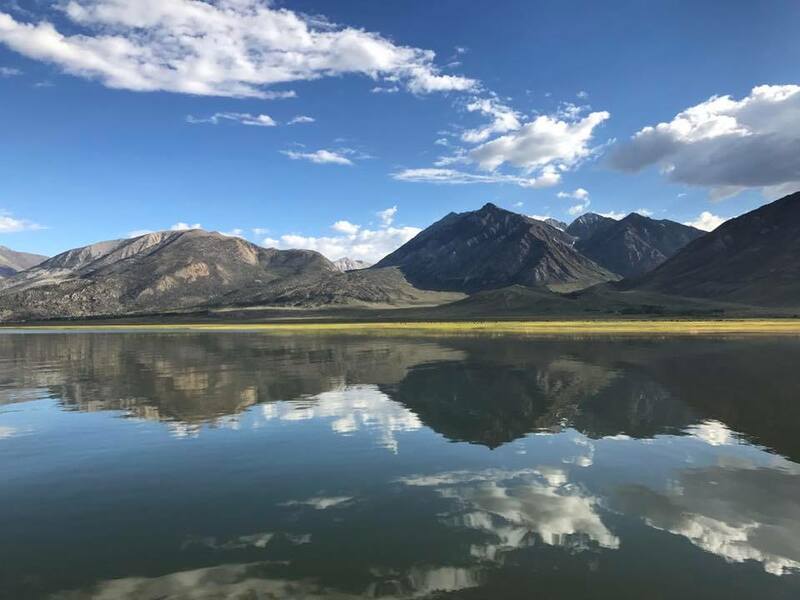 Crowley Lake continues to provide the best "Stillwater" action we have in the Sierra. You won't be able to find another stillwater that will provide you with the opportunity to catch all three species, Rainbow, Cutthroat and Brown all over the 20" category in the same day of angling. This is known as the "Crowley Slam" and happens every day at Crowley Lake. The big fish are on the prowl right now 20" all the way into the 24" range and the numbers to the net can be into the 50 range for two or three anglers. Its a great place to bring your children and have them have good success out on the water!